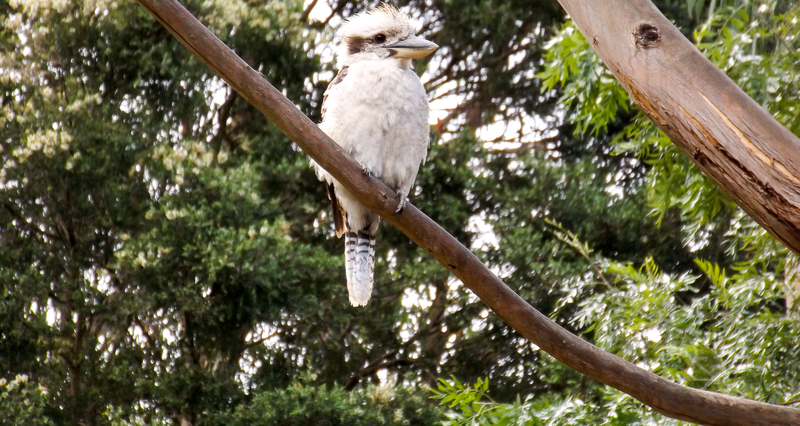 The Kookaburras are always here – they laugh and laugh at all times of the day and night. They happily sit beside you in the garden – ever ready for a worm or whatever. One of my favorites is the “sleeping Kooka” – probably because he was awake at 4.00am in the morning – laughing and needs to catch up at during the day. They are very alert, self contained birds – with beautiful Blue feather tips on the underside of the wings – very close to my favorite color.